More than 30% of adolescents are diagnosed with anxiety, the most common mental health disorder in both children and teens. According to the experts, the actual numbers are higher, as most children with anxiety are not diagnosed or treated. Contrary to old-school thinking, anxiety is not something that kids simply “grow out of.” If left untreated more serious issues can result including psychoses, depression, suicide and substance abuse in adulthood. 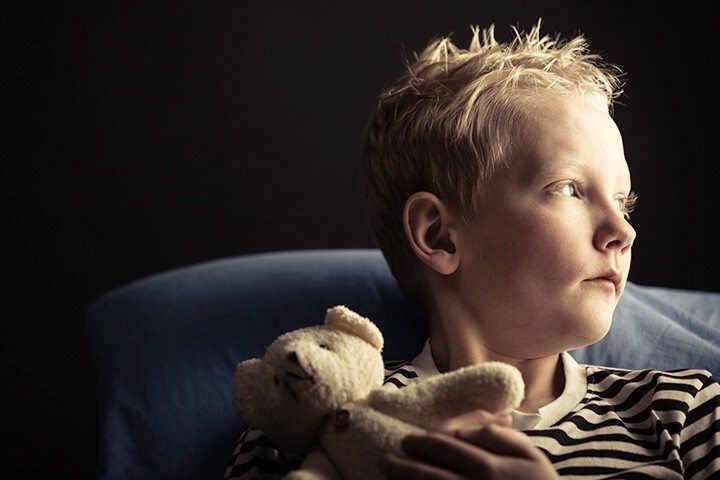 Anxiety can stem from something that happens to a child, (e.g., a death in the family or abuse) but it also runs in families, so many children are at-risk because their parents or grandparents are affected. When a parent struggles with anxiety, a child can get a double-whammy. Not only is the child at risk, but their parent’s behaviors and messages can also foster anxiety. Our natural instinct is to shield our young from discomfort or harm. For some parents, this goes too far and they “protect” their child from everyday experiences that cause anxiety. For example, children with social anxiety may cringe at the idea of a birthday party, or a child with separation anxiety may wail when the babysitter shows up. When we don’t allow our children to face challenging situations, we are not helping them grow and adjust. Since we can’t change our genes, researchers have focused on interventions targeting parent and child behaviors because these CAN be modified. In one study, families with at-risk children (one parent who had anxiety, but the children did not) 6–13 years old participated in a program focused on identifying and reducing anxiety through parenting and problem-solving strategies. One year later, only 5% of the children had developed an anxiety disorder, compared with 30% of the control group. Another recent intervention study focuses on younger children, targeting their social skills. Educators meet with children in small groups, and target skills like introducing themselves, making eye contact, playing with other children and general interactions. Meanwhile, counselors meet with parents to discuss strategies that may help their children in social situations. How do I know if my child is anxious, and not just obstinate or being a ninny? Young children are often unable to label their feelings or express themselves in ways that make sense to adults. This is probably the main reason that anxiety in children goes undiagnosed, so the child (and parent) misses out on early intervention opportunities. Anxiety can be debilitating and paralyzing, and can have long-lasting effects that impact social relationships, employment and quality of life. You can make a difference and help your child if you are sensitive to cues and reach out for help. For additional reading and resources, below are four of the most popular books for parents and teachers of children with anxiety.